Riverhawk offers a full line of high-resolution seismic pickups (providing direct displacement outputs at very low noise levels) and various solid-state accelerometers and velocity transducers. Displacement Pickups are vibration transducers that incorporate a spring-mass system with eddy-current damping using a frictionless pivot. This pivot is a spring flexure that serves as the ‘spring’ and a moment arm attached to the pivot serves as the ‘mass’, which allows resolutions down to the micro inch range. At frequencies above 50Hz, the mass remains fixed in space and becomes an inertial reference. A transducer within the pickup senses the motion of the mounting base relative to the inertial reference and converts it into a proportional signal. Appropriate damping results in a frequency response flat down to 10 Hz. Note that the pickup senses in only one plane, which is perpendicular to the mounting base. Riverhwak’s Seismic Sensors’ dampening technique is accomplished through eddy-currents generated by a metal flag moving between the poles of a magnet. Unlike other velocity transducers that use a viscous fluid or gel for damping, the Riverhawk pickup is not as dependent upon temperature for performance and reliability. The proportional signal being generated by the transducer is a direct function of the vibration amplitude of the machine relative to a fixed point in space. Therefore it allows it to measure absolute displacement even in low-speed machinery such as cooling towers, forced draft fans and induced draft fans which is the key to its application. Seismic Displacement Pickups may operate in temperatures up to 300°F, when used in conjunction with a probe driver model 590 or 4-20mA transmitter such as the XT-101 and are available in different mountings to capture the direction of the vibration. Velocity Transducers – The original mechanical transducers had a spring-mass/moving coil system and now have been replaced with a solid-state type. The new transducers are a piezo-electric device with built-in integrating electronics that convert the acceleration signal to a velocity signal. They usually have a ±5% frequency range and may go down to 3Hz and up to 250Hz. Their temperature range is limited to 250°F and is used for high moisture applications (with water-proof connections) such as water circulating pumps and in applications where mounting space is limited. 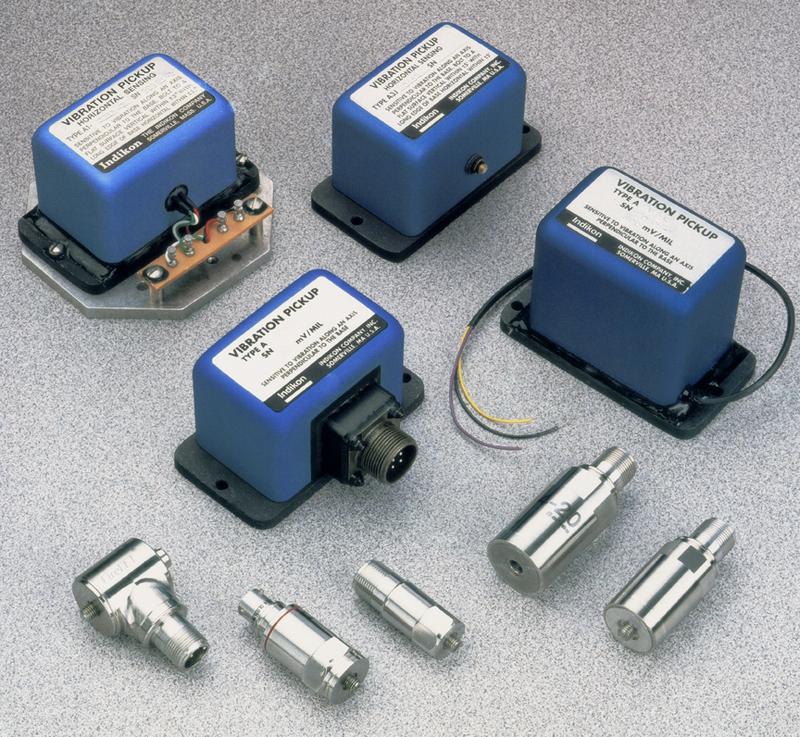 Accelerometers are piezoelectric devices that can be used in the measurement of force derived from vibration as detected in machine casings, bearing caps, and/or pedestals. 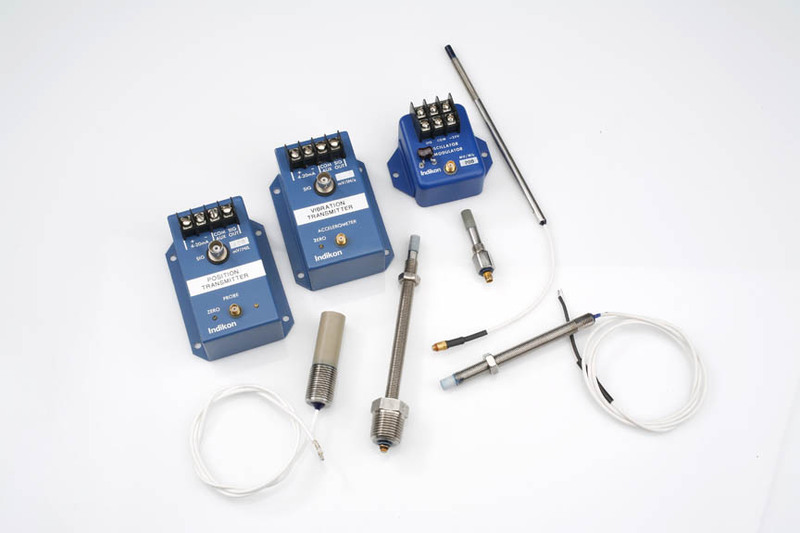 Accelerometers are best suited to obtain a frequency response and are useful in detecting blade passing or gear mesh problems in turbines, compressors, and gearboxes. Acceleration is defined as the time rate of change of velocity and its unit of measure is gravity defined by the letter ‘g’. Acceleration is most practical where actual mechanical failure is present and accelerometers, being small, are optimum for usage in smaller machine structures. Charge-coupled accelerometers are available for temperatures up to 1200°F (i.e. gas combustion turbines). 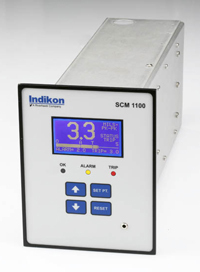 Those built with charge amplifiers are available for temperatures up to 300°F. Riverhawk is proud to offer a variety of types of Seismic Sensors. Learn more here. To learn more about Riverhawk’s Indikon Seismic , please contact us. We are happy to assist you with your project needs.